We champion every size of business and help shape the policy which affects all our members, providing a unifying voice for the industry, working for global standards, and raising the profile of air cargo. 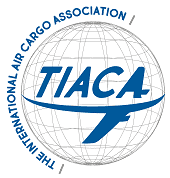 TIACA’s Air Cargo Forum is a biennial event bringing together thousands of airfreight decision makers and supply chain operators from across the globe. The 2018 event will take place in Toronto, Canada from 16th to 18th October and is co-located with the Canadian International Freight Forwarders Association (CIFFA) 70th anniversary conference, and the inaugural Multimodal Americas show.